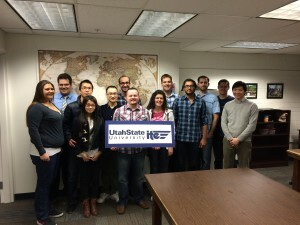 The Civil and Environmental Engineering department at USU is very excited to welcome back the newly re-instated USU student chapter of ITE. As the chapter was being started last November, we started out with 8 members. We have since grown to 11 members and hope to continue increasing in number. We are currently arranging a seminar series with transportation professionals coming to speak to us about what is currently being done in the Utah transportation network as well as giving us a look into their daily projects and tasks. We are hoping to get a traffic bowl team together and start practicing so we are be able to compete in the state, regional and national competitions. This would be a great opportunity to meet other local ITE sections and network with students around our area as well as across the country. In December, a small group of our members were able to attend the Utah ITE chapter holiday party. They had lunch and held a paper bridge competition. We really enjoyed being able to be involved with the state chapter and getting to know the local professionals in our state. 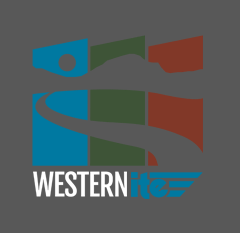 Many opportunities are available to us to get involved including local, regional and national ITE sections. We look forward to attending the conferences in our surrounding areas and get more and more involved. We were excited to participate in the annual Utah State University Engineering Week Community Night in February. This is an event focused on inviting the community to come learn about engineering and participate in engineering activities. We were happy to be able to represent ITE at this event. We realize how valuable and useful this organization can be to the students at USU and it is our main objective to maintain membership and be able to extend the great opportunities offered by ITE to the USU members.